Upon entering BRU Coffee + Beer House, visitors are greeted by the familiar sights and sounds of a third-wave coffeehouse. The interior is clean and modern; smooth music and the rich scent of quality coffee beans hang in the air. Only the draught beer taps and the bar along the back wall attest to the venue’s split personality; around 5 p.m., the ambience shifts as downtown Edmontonians undergo a collective metamorphosis, loosening their (proverbial for the ladies) ties and trading their hot cappucinos for cold ales. “You’d expect them to clash,” says manager Sam Lee of the disparate clientele, “but they don’t.” He relates a scene from the day before, when animated Dungeons & Dragons players sipping lattes sat just metres away from a group of patrons swigging Alley Kat brews. 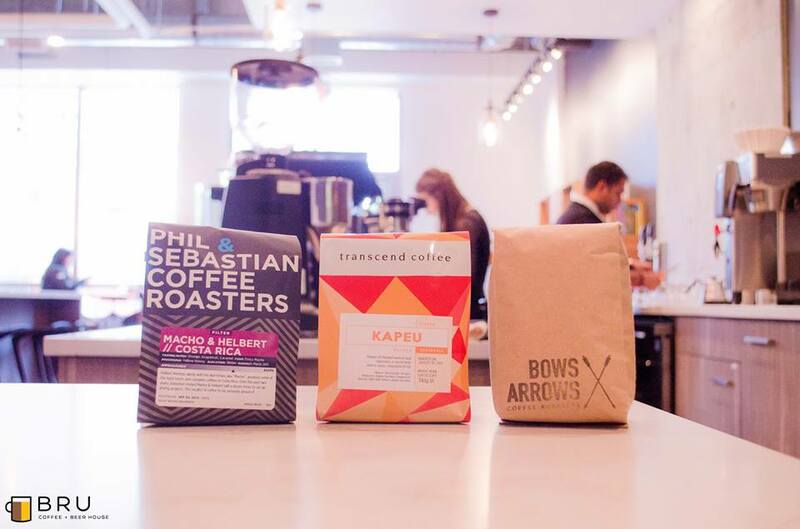 This unique atmosphere sets BRU far enough apart from competitors that Lee feels confident venturing into an increasingly crowded market – BRU is on the other end of Jasper Avenue from fellow third-wavers Coffee Bureau and Lock Stock. 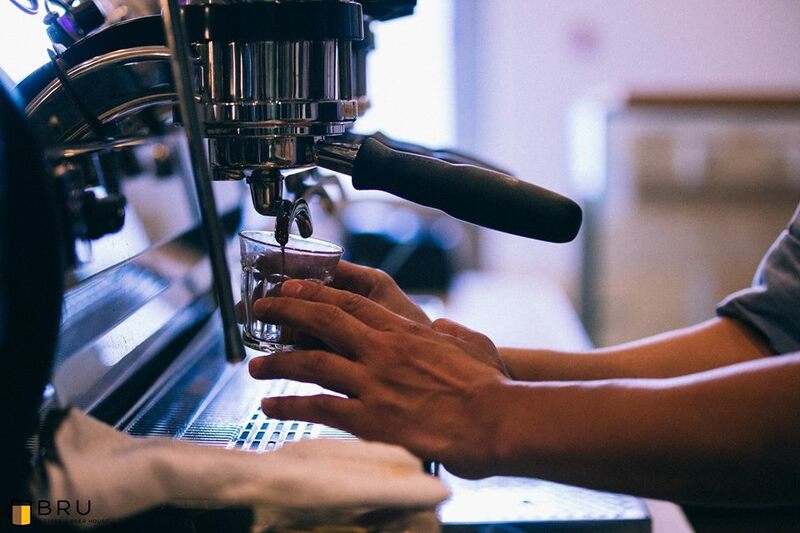 Both caffeine-seekers and hop-heads are well taken care of at BRU. The espresso and pourover choices (the latter of which are accompanied by flavour notes on the menu) will rotate every couple weeks, keeping things fresh. As for beer, the current selection of four Alley Kat craft picks – Aprikat, Scona Gold, Amber and Full Moon IPA – will soon be bolstered by nine additional bottled varieties. And if you’re feeling hungry, you have the options of sandwiches, soups, salads or charcuterie boards. Lee believes BRU is the first combination third-wave coffeehouse and craft-beer bar in the country. After a month of soft openings, the staff are finally ready for their grand opening on Sept. 19. Whether you need a morning pick-me-up, a nightcap or just a light snack, consider stopping by.